There is a burlap craze going on right now. 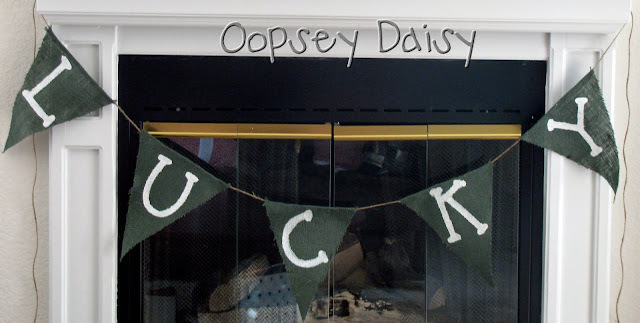 I admit, I needed another project to feed my own burlap addiction! 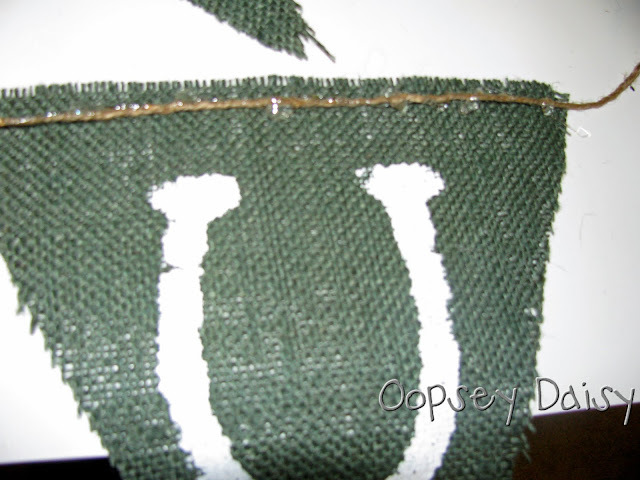 And tis the season for green burlap. Isn't it lovely?! 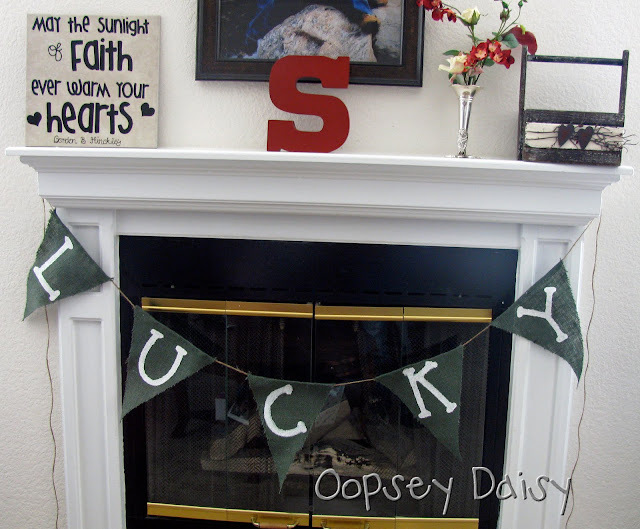 I used my cricut to cut out templates for my "Lucky" letters. It took me forever because my cricut mat wasn't sticky, and the freezer paper kept tearing, but I figured out a solution, and we'll address that on another day!! Anyway, don't you love the cute font?! It's one by DJ Inker's. 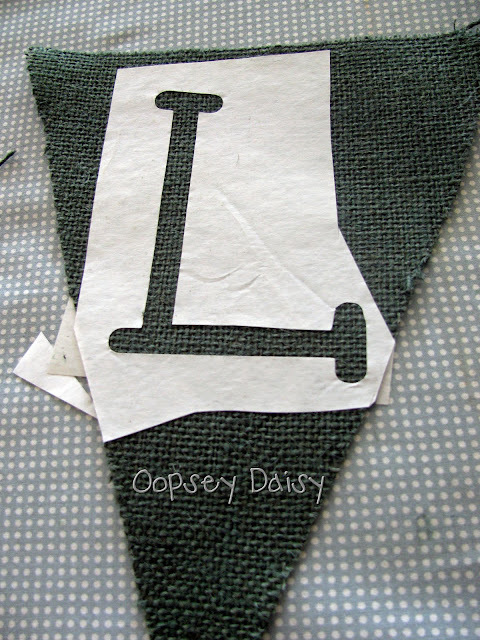 I ironed my freezer paper, smooth side against the fabric, to the center of my burlap triangle, then ironed another piece of freezer paper to the back side. I used white paint to paint over my template next. 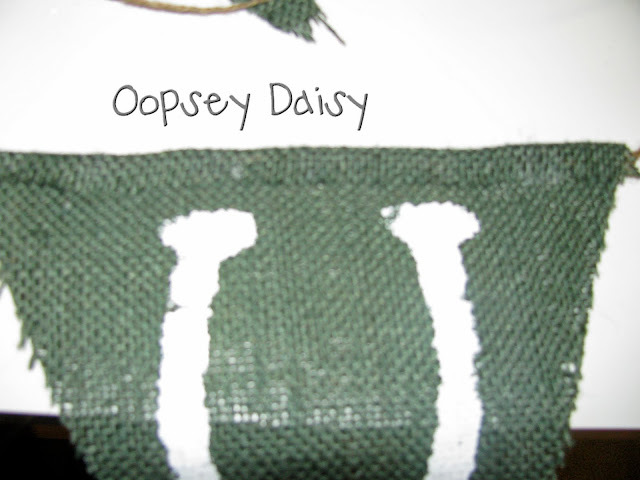 I was afraid it wouldn't look truly white on the dark green burlap, especially with such large fibers. So I gave it plenty of coats--probably too many, I realized, once it had dried. Oh well, nice white letters I have! 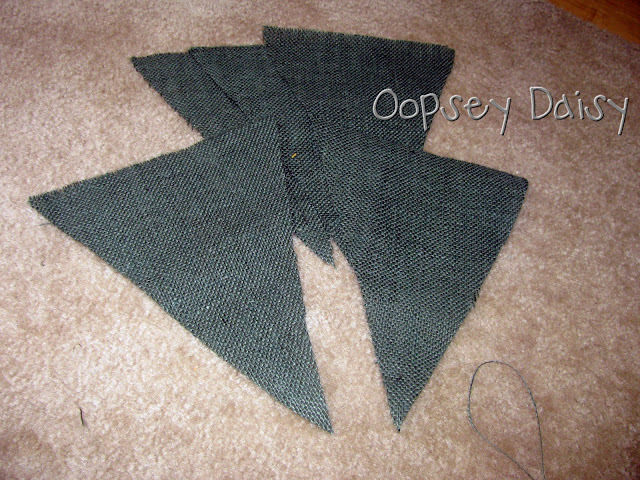 I wanted to hang it with twine, so I used hot glue to glue down the twine across the back of the top of each triangle. I folded the top over, hiding the burlap. A bit of hot glue squeezes through. But no biggie. I love this! It's so much fun! I hope you’ll stop by & share the love!